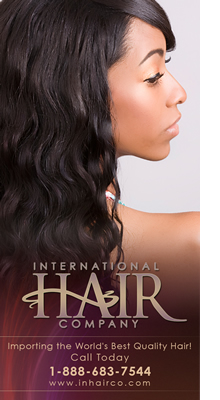 International Hair Company has been importing the world's best virgin hair since 2004. We specialize in pure Virgin Indian Remy human hair straight from India. Our mission is to bring the finest quality hair extensions that cater to your individual style at the most affordable prices. We ship to customers all over the world from our main office in Sacramento , California. Providing top quality is our main responsibility to guarantee reliable, beautiful hair. We believe your hair is a commitment and we strive to build lasting relationships with our customers. Making sure our customers are satisfied is our number one goal at InHairCo. We are more than happy to answer any of your questions about our hair or if you are in doubt we offer samples so you can experience the highest quality Remy hair at your fingertips. To ensure our customers make the right hair decisions, we offer free professional consultations where you can speak with an expert regarding any hair inquiries and together take the right steps to choosing the perfect hair for you! Our partners combine over 24 years of experience in the hair industry. We work closely with professional stylists throughout the country who sell our hair and understand what styles our customers desire. Simply, we understand hair; we thrive from our thousands of satisfied customers and excel through our quality products. Our pure Virgin Indian human hair is never processed, chemically treated or coated. It is the most natural hair gleaming with luster and shine. We fully stand behind our products; our hair extensions are the finest quality in the market. Its natural movement and full body will make you the envy of all your friends. A variety of products are sold in several different textures and colors. Check out our products page. Spread the word, InHairCo is the place to shop for the world's best hair!